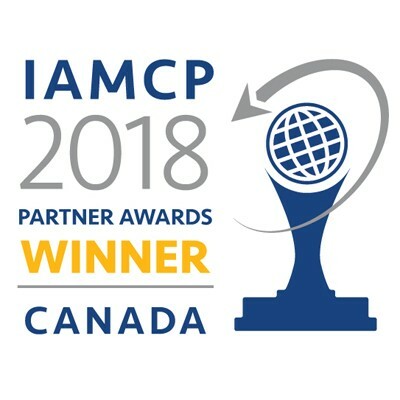 International Association of Microsoft Channel Partners Congratulates All Winners in the 2018 IAMCP Member Awards Program. Regional and global winners were announced at Microsoft Inspire in Las Vegas Tuesday, July 17th at 4 PM PST. REDMOND, Wash. – July 17, 2018 – The International Association of Microsoft Channel Partners is proud to honor the top partners in the IAMCP global community for achieving partner-to-partner (P2P) excellence with solutions that drive customer value. Partners submitted a wide variety of leading-edge projects that are helping customers compete and get ahead through implementation of exceptional joint partner solutions. Entries submitted include cloud computing, marketing innovation, collaboration and messaging, data analytics and business intelligence offerings. Regions represented include APAC, Canada, EMEA, LATAM, and the US. Through partnering, IAMCP members are shaping how businesses go to market around the world. Thanks to an incredible amount of submissions this year, Gold, Silver and Bronze awards were handed out to partners across the globe. Along with the trophies presented and marketing materials offered, all winners and finalists will be invited to publish their entries in the IAMCP 2018 P2P eBook.